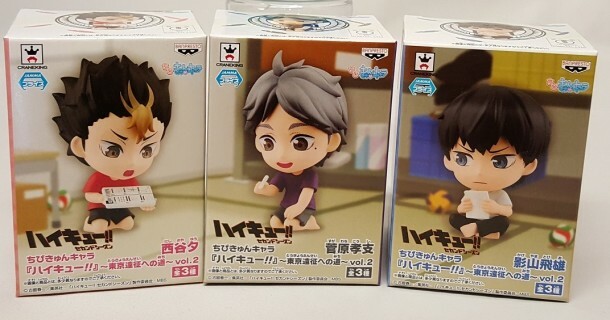 Chibikyun Chara Haikyu Road to Tokyo Expedition Vol. 2. Set of 3 figures. Figures are approximately 3 inches tall.